On March 4, 1776, troops from the Continental Army under George Washington’s command occupied Dorchester Heights, a series of low hills with a commanding view of Boston and its harbor, and mounted powerful cannons there. General William Howe, commander of the British forces occupying the city, considered contesting this act, as the cannon threatened the town and the military ships in the harbor. After a snowstorm prevented execution of his plans, Howe decided instead to withdraw from the city. The British forces, accompanied by Loyalists who had fled to the city during the siege, left the city on March 17 and sailed to Halifax, Nova Scotia. 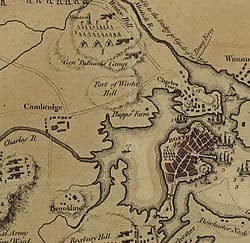 The siege of Boston began on April 19, 1775, when, in the aftermath of the Battles of Lexington and Concord, Colonial militia surrounded the city of Boston. 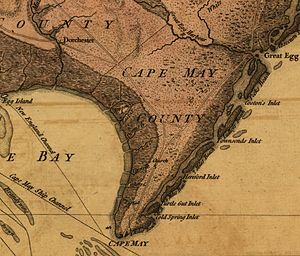 Benedict Arnold, who arrived with Connecticut militia to support the siege, told the Massachusetts Committee of Safety that cannons and other valuable military stores were stored at the lightly defended Fort Ticonderoga, and proposed its capture. On May 3, the Committee gave Arnold a colonel’s commission and authorized him to raise troops and lead a mission to capture the fort. 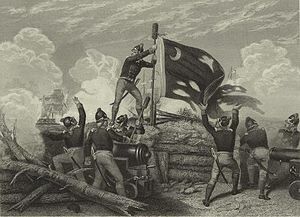 Arnold, in conjunction with Ethan Allen, his Green Mountain Boys, and militia forces from Connecticut and western Massachusetts, captured the fort and all of its armaments on May 10. After George Washington took command of the army outside Boston in July 1775, the idea of bringing the cannons from Ticonderoga to the siege was raised by Colonel Henry Knox. Knox was eventually given the assignment to transport weapons from Ticonderoga to Cambridge. Knox went to Ticonderoga in November 1775, and, over the course of 3 winter months, moved 60 tons of cannons and other armaments by boat, horse and ox-drawn sledges, and manpower, along poor-quality roads, across two semi-frozen rivers, and through the forests and swamps of the lightly inhabited Berkshires to the Boston area. Historian Victor Brooks has called Knox’s feat “one of the most stupendous feats of logistics” of the entire war. The British military leadership, headed by General William Howe, had long been aware of the importance of the Dorchester Heights, which, along with the heights of Charlestown, had commanding views of Boston and its outer harbor. The harbor was vital to the British, as the Royal Navy, at first under Admiral Samuel Graves, and later under Admiral Molyneux Shuldham, provided protection for the troops in Boston, as well as transportation of supplies to the besieged city. Early in the siege, the British planned to seize both of these heights, beginning with those in Dorchester, which had a better view of the harbor than the Charlestown hills. It was the leaking of this plan that precipitated events leading to the Battle of Bunker Hill. When Washington took command of the siege in July 1775, he considered taking the unoccupied Dorchester Heights, but rejected the idea, feeling the army was not ready to deal with the likely British attack on the position. The subject of an attempt on the heights was again discussed in early February 1776, but the local Council of Safety believed the British troop strength too high, and important military supplies like gunpowder too low, to warrant action at that time. By the end of February, Knox had arrived with the cannon from Ticonderoga, as had additional supplies of powder and shells. Washington decided the time was right to act. Washington first placed some of the heavy cannons from Ticonderoga at Lechmere’s Point and Cobble Hill in Cambridge, and on Lamb’s Dam in Roxbury. As a diversion against the planned move on the Dorchester Heights, he ordered these batteries to open fire on the town on the night of March 2, which fire the British returned, without significant casualties on either side. These cannonades were repeated on the night of March 3, while preparations for the taking of the heights continued. On the night of March 4, 1776, the batteries opened fire again, but this time the fire was accompanied by action. General John Thomas and about 2,000 troops quietly marched to the top of Dorchester Heights, hauling entrenching tools and cannon placements. Hay bales were placed between the path taken by the troops and the harbor in order to muffle the sounds of the activity. Throughout the night, these troops and their relief labored at hauling cannon and building earthworks overlooking the town and the harbor. General Washington was present to provide moral support and encouragement, reminding them that March 5 was the sixth anniversary of the Boston Massacre. By 4 am, they had constructed fortifications that were proof against small arms and grapeshot. Work continued on the positions, with troops cutting down trees and constructing abbatis to impede any British assault on the works. The outside of the works also included rock-filled barrels that, while appearing to be a part of the defensive structure, could be rolled down the hill at attacking troops. Washington anticipated that General Howe and his troops would either flee or try to take the hill, an action that would have probably been reminiscent of the Battle of Bunker Hill, which was a disaster for the British. If Howe decided to launch an attack on the heights, Washington planned to launch an attack against the city from Cambridge. As part of the preparations, he readied two floating batteries and boats sufficient to carry almost 3,000 troops. Washington’s judgment of Howe’s options was accurate; they were exactly the options Howe considered. Admiral Shuldham, commander of the British fleet, declared that the fleet was in danger unless the position on the heights was taken. Howe and his staff then determined to contest the occupation of the heights, and made plans for an assault, preparing to send 2,400 men under cover of darkness to attack the position. Washington, notified of British movements, increased the forces on the heights until there were nearly 6,000 men on the Dorchester lines. However, a snow storm began late on March 5 and halted any chance of a battle for several days. 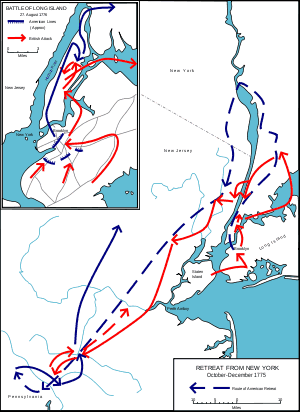 By the time the storm subsided, Howe reconsidered launching an attack, reasoning that preserving the army for battle elsewhere was of higher value than attempting to hold Boston. On March 8, intermediaries delivered an unsigned paper informing Washington that the city would not be burned to the ground if his troops were allowed to leave unmolested. After several days of activity, and several more of bad weather, the British forces departed Boston by sea on March 17 and sailed to Halifax, Nova Scotia, taking with them more than 1,000 Loyalist civilians. The fortifications on the Heights were maintained through the end of the war, and then abandoned. During the War of 1812, the Heights were refortified and occupied against potential British invasion. Following that war, the fortifications were completely abandoned, and, in the later years of the 19th century, the Dorchester hills were used as a source of fill for Boston’s expanding coastline. In 1902, following revived interest in the local history, a monument was constructed on the (remaining) high ground in what is now South Boston. The large Irish population in the area was also instrumental in having March 17 (which is also Saint Patrick’s Day) named as the Evacuation Day holiday in Suffolk County, Massachusetts, which includes the city of Boston. The site was added to the National Register of Historic Places in 1966, and in 1978 came under the administration of the National Park Service as part of Boston National Historical Park.